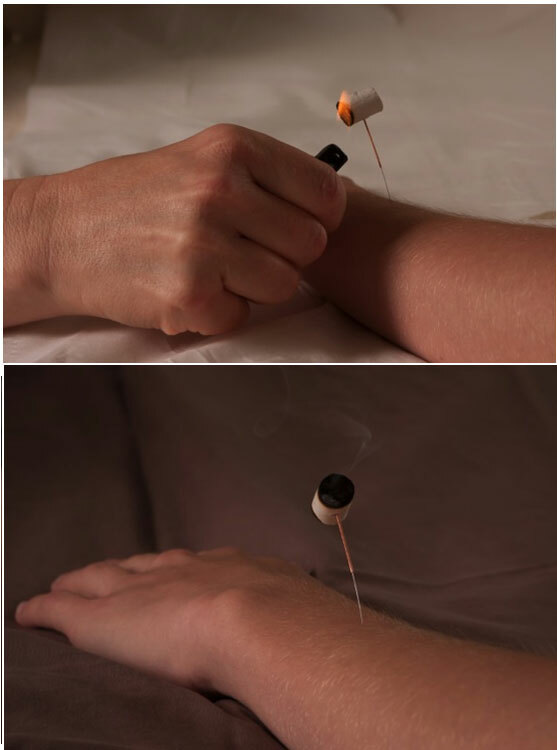 Moxibustion (Moxa) is the application of an herb called Chinese mugwort or Artemisia that is burnt to create warmth to an acupuncture point this may be used in combination with acupuncture needles. The aim of moxa is to nourish and warm according to Chinese medicine principles it is used to strengthen the blood, stimulate the flow of qi, and maintain general health. In traditional Chinese medicine moxa is used to expel cold from the meridian pathways when there is a cold or stagnant condition resulting in a smoother flow of blood and Qi. Burning Moxa also produces a great deal of smoke and a pungent odor. Patients with respiratory problems may be condtraindicated. A study published in the Journal of the American Medical Association in 1998 found that up to 75% of women suffering from breech presentations before childbirth had fetuses that rotated to the normal position after receiving moxibustion at an acupuncture point on the Bladder meridian.